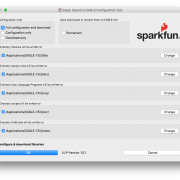 A quick guide to using and personalizing Eagle configuration script files to tailor settings to your needs. 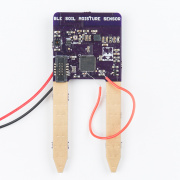 It took a year to take a mess of wires, hardware and WiFi dependency and turn it into a new solution to monitor plants and the environment anywhere without a WiFi password. This is BLE-IOP. 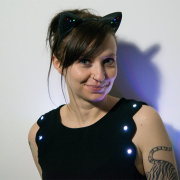 Remixing Anouk Wipprecht's Kitty Ear soldering project shared on OSHPARK and Shapeways. I just finished writing the first of several EAGLE web utilities, let me introduce you to Buzzard Label Maker! 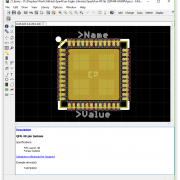 Check out the new and improved, tightened-up SparkFun Eagle libraries - now with uniformity, verified packages and documentation! 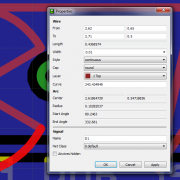 Tips and tricks to turn your drab PCB design into a snazzy work of art! Hi, thanks for sharing this wonderful project idea. It will be helpful for students to develop their project and practical skills. 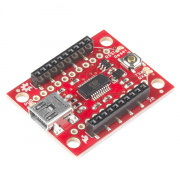 Hmm... stating the obvious: That new detector module really puts the "spark" into "SparkFun"!! !